The New center will also establish a Clinical Trials Network that will utilize the facilities at Mass General Hospital to provide a foundation for the multi-center clinical studies we all hope will at some point break the back on this disease. Given the difficulties getting clinical trials underway in this disease nowhere is an effective and efficient clinical trials infrastructure more needed. Not surprisingly given their address – Harvard – the two researchers leading the new Harvard ME/CFS Collaborative Center have extraordinary resumes. Ron Tompkins is Professor of Surgery at the Harvard Medical School and the Chief of Trauma, Burns and Surgical Critical Care Service at Massachusetts General Hospital. He’s also the founding director of the Center for Surgery, Science and Bioengineering and the Center for Engineering and Medicine. Tompkins was the lead investigator of an NIH “Glue” grant on Inflammation and Host Responses to Injury. The massive grant – the 10th largest extramural grant ever awarded by the NIH- lasted an incredible 13 years. Tompkin’s has published more than 450 scientific papers. Wenzhong Xiao is the director of the Immuno-Metabolic Computational Center at Mass General Hospital and is an Asst. Professor of Surgery at Harvard Medical School. His bio states he is “internationally recognized in the field of Computational Genomics in Surgery and Medicine”. Xiao directed the computational arm of Tompkin’s massive Glue Grant study. A former study of Ron Davis’s, Xiao’s bio states he’s collaborated with Davis to create “new bioinformatic and statistical tools for data analysis”. Xiao also directs the Computational Genomics Lab at Davis’s Stanford Genome Technology Center. We’re clearly lucky to have two such distinguished researchers working on chronic fatigue syndrome (ME/CFS). The massive study which utilized 22 academic centers and involved dozens of researchers used (and developed) cutting edge molecular biology techniques to attempt to learn how inflammation – a protective process when kept under control – can spin out of control and cause immense damage. It’s a central question – why one person is able to recover from a serious injury while another dies of inflammation (sepsis) is not so different from the question of why ME/CFS patients remain ill.
It’s an important and long unanswered question. Despite billions of dollars and over 100 clinical trials, not a single drug has been produced that can successfully treat sepsis. Tompkins, Xiao, Ron Davis and others took a deep dive into molecular biology in an attempt to understand it. The Glue Grant project proved to be a fertile ground of creativity. It pioneered a multi-systemic approach to severe trauma and burn patients which involved the integration of large-scale cellular and physiologic, proteomic, genomic and gene expression data. 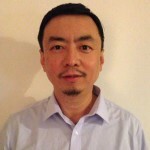 The massive amounts of data (petabytes – millions of gigabytes) obtained required the development of new analytic procedures by Wenzhong Xiao and his computational team. Another group of researchers spread across multiple laboratories developed experimental models of tissue injury, blood loss, and endotoxemia. Another group developed new ways to assess biological data including new microarrays which contained >6.9 million features. In all the new techniques pioneered by the team over the course of the study were published in 19 papers. The Glue Grant ended up transforming how the medical profession views trauma. By 2015 the medical profession’s paradigm of sepsis – that a deficient initial systemic inflammatory response which left behind unresolved infections/ damaged cells and then created problems when a later anti-inflammatory response kicked in- was overturned. Plus the mouse model investigators had relied on for decades to understand sepsis was shown to be almost completely faulty. A central conclusion of the Glue Grant project was that to understand sepsis in humans you’re going to have to study humans – which is just what this project did. The criteria for entry into the trauma study were stark; patients had to experience “blunt trauma”, display significant metabolic alterations (acidosis) and require a blood transfusion to treat severe anemia because of blood loss. To ensure that the participants received a standardized level of optimal care, the study mostly took patients from four elite trauma centers in the U.S. By 2015 complete data from over 2,800 critically injured or burned patients had been included. In 2015 Tompkins produced a review article describing one aspect of the project called “Genomics of Injury: The Glue Grant Experience“. In it,Tompkins stated that he believed the trauma and burn findings would apply to severe infection as well. Glue grant studies indicated that generating an inflammatory response and flu-like symptoms in healthy controls using a single dose of an endotoxin (bacterial toxin) replicated almost 50% of the gene expression found in severe burns and trauma. Given that that was a mild hit to the immune system, it was no surprise to find that Tompkins called the gene expression response in sepsis, ARDS (acute respiratory distress syndrome) and infections “almost identical” to that seen in the trauma patients. Takeaways from the project included the occurrence of a “genomic storm” which altered the expression of about 80% of the patients’ white blood cell genes. As probably occurs in sudden onset ME/CFS patients, the vast majority of the gene changes occur in the first 24 hours. During that period the gene expression of cells associated with our innate immune system – the rapid response arm of the immune system – dramatically increased. Meanwhile the gene expression of cells associated with the adaptive immune response such as T and B-cells dramatically decreased – probably to avoid triggering an autoimmune response to the many new molecules found in the blood. In a huge surprise, the suspected reason for the decline into sepsis and often death – a cytokine storm – was not present. Even with the massive and unprecedented changes in gene expression seen in these patients’ white blood cells, the cytokine levels of the recovering vs. declining patients were almost indistinguishable from each other. Cytokines were not driving the illness process. Most of the gene expression in the two patient cohorts (recovered vs. still ill) were similar as well, but major differences did show up, interestingly, not in the hugely up regulated innate immune genes but in the down regulated adaptive immune genes. Adaptive immune gene expression suppression (HLA-DQ, HLA-DA; interferon genes IFIT 1,2,3,5) was much more dramatic in the still ill patients. About half of the overly down regulated genes were downstream of interferon – a result that no one suspected – but which has created new opportunities for treatment. In another surprise, no late anti-inflammatory response showed up. Instead, the changes in gene expression associated with poor recoveries began very early and were sustained throughout the study period, suggesting that, as is suspected with ME/CFS and FM, people who failed to recover from the trauma were in some way primed to stay sick once it occurred. It’s hard not to think that a touch of serendipity has struck ME/CFS. Whitney Dafoe’s severe illness brought his father Ron Davis into the picture and, in turn, Davis brought in Ron Tompkins and Wenzhong Xiao – two researchers who’ve spent more than a decade studying how inflammation – long believed to be a key part of ME/CFS – can turn into chronic illness. After hearing that a Harvard ME/CFS center might be in the works, I spoke to Tompkins at the Montreal ME/CFS Conference. He was excited about the possibility of running an ME/CFS research center, and in particular, having one at Harvard – a presence that can only boost the prestige of this field. After the Center was announced, I asked Tompkins questions that were related mostly to a recent paper he had co-authored which described the systemic metabolic and mitochondrial changes that occurred after burns. In one study you found that burn activated the mTORC1 protein complex and hypoxia-inducible factor (HIF)-1α. In parallel with activation of these two factors came all sorts of mitochondrial issues including morphological alterations (i.e., enlargement, partial loss of cristae structure) and impairment of the respiratory supercomplex. Are these the kind of things you’ll be looking for in your biopsy studies? The new research center will examine the mitochondria in the muscles of ME/CFS patients to see if the triggering event altered them. Burn injury and massive blunt trauma are very severe forms of stress that require a human to respond. Serious viral or other infections are other forms of severe stress. Most patients ultimately recover to a condition that is near to their normal homeostatic state. Some patients do not ever make it back to that same “normal” condition. We do not understand why this happens. The abnormalities mentioned above regarding mTORC protein complex, HIF activation and mitochondrial abnormalities are likely also seen in ME/CFS. There are differences, however, and we need to better understand those differences. We will be evaluating these and many other ways that mitochondria respond to severe stress but might not recover completely after that initial stress resolves and what persistent abnormalities might be found in ME/CFS. The 2016 Lancet paper you worked on demonstrated that a metabolic shift occurs after severe burns which affects the entire body – not just the burned area. It’s as if this trauma – which you note produces an almost unparalleled stress response – resets how the body functions for years. One of the things believed to happen is that the muscles become a nitrogen source for the rest of the body. Some studies, if I remember correctly, suggest that problems utilizing fats for aerobic energy production might be similar to the process occurring in ME/CFS. If that process is occurring, would you be able to tell that from your studies? Serious stress from massive blunt trauma and serious burns results in severe inflammation that places patients in a new steady-state. Immediately after the injury, the inflammation causes phosphorylation of the enzyme pyruvate dehydrogenase and impairs its function and that of citrate synthetase. This blocks three carbon molecules from entering the TCA cycle. This impairs ATP generation from the “burning of glucose” in the peripheral tissues (e.g. skeletal muscle and skin). Simultaneously, peripheral triglyceride is broken down and fatty acid flux increases by many fold. Peripheral tissues dramatically prefer to “burn” or oxidize fats in order to generate ATP – a switch to beta oxidation. Elements of these same effects are seen in ME/CFS, but we need to understand the extent and relevance of these well-known phenomena. In both sepsis and burn a metabolic shift from aerobic energy production in the mitochondria to ATP synthesis by anaerobic glycolysis occurs. The strange thing is that it occurs in the presence of abundant oxygen. This process, known as the Warburg effect or aerobic glycolysis, can be induced by inflammation. Do we know why the body would at times prefer a less efficient, less effective and more toxic way to generate energy (glycolysis) when a more efficient process (oxidative phosphorylation) is available? This is a very interesting point. I can best explain it by teleological arguments. I’d be happy to discuss with you when we next meet. It’s more of a conversation. The points you are making are extremely insightful and I would hope to provide multiple publications to begin to explain this very interesting story to follow. This process is initiated by a master transcription factor called hypoxia-inducible factor (HIF)-1α which upregulates the activity of genes involved in glycolysis (glucose transporter-1 (Glut1) and pyruvate dehydrogenase kinase-1 (PDK1) genes. Could a similar process be occurring in ME/CFS? Will you be looking for upregulation of these genes in your studies? Or is it more likely that the shift to glycolysis in ME/CFS is occurring because of low oxygen levels? Yes. The HIF process might not be the only mechanism, but we need to start there. The good news is that this is a general and very important process, so that understanding how this works and how to modulate it is very important, not only for ME/CFS, but also for other important diseases and disorders. This level of importance can make progress in ME/CFS move forward faster as its mechanisms are likely shared by many other very poorly understood conditions. These responses do not necessarily require tissue hypoxia. Some studies suggest that problems with the blood vessels could result in reduced oxygen or hypoxic conditions in the muscles in ME/CFS patients. That, in turn, would lead to a reliance on glycolysis, reduced energy and increased levels of lactate. If the muscles are getting less oxygen in ME/CFS, would this show up in your muscle studies? This is a very complex matter. There are no appropriate data to actually understand the oxygen tension in skeletal muscle in ME/CFS, but there is a great deal of presumption. Actual tissue hypoxia requires a great deal more direct evaluation before I can respond to your questions appropriately. I am quite familiar with hypovolemic conditions after serious injury and I am aware of the reduced blood volumes in ME/CFS but I am uncomfortable making any predictions of fact regarding ME/CFS until the condition is properly determined without ambiguity. With regards to establishing an ME/CFS clinical trials network, how can the Harvard Center help with that? What kind of resources does it bring to bear? Would this network begin by testing substances that Ron Davis’s work at Stanford suggests might be useful? The new Center aims to support large, rigorously produced multi-center clinical trials. The Harvard Center intends to support systematic multi-center study groups who agree upon definitions, allow audits of their investigational infrastructure, and comply with terms and conditions agreed upon by the consortium. So many clinical studies to date in ME/CFS are single site studies either with or without confirmation with studies done in other sites. Large-scale consortium results add an additional dimension to the relevance of the conclusions of interventional or observational studies. This is true in any field, not just ME/CFS. It is harder and more expensive, but required to move a field forward with understanding. The Harvard Center is fully open to any investigators wishing to participate. We would hope to eventually be funded at a level to accomplish this condition. We intend to collaborate with the Stanford ME/CFS Collaborative Center and take forward those promising tools and techniques developed by Ron Davis and his colleagues. We also intend to provide patient tissues and materials that will propel studies at the Stanford ME/CFS Collaborative Center. We also intend to collaborate with the three NIH funded ME/CFS Collaborative Centers in a similar manner as well as the expected new Collaborative Center in Canada. I agree that EDS is a critical factor for a subset of patients. I would caution, though, in assuming that Ron and his team can cover everything in this disease. The team is only so big, there is only so much money, and there are only so many hours in the day. From what I can tell Davis is focused on uncovering the molecular roots of ME/CFS; those roots should, I would guess, uncover disturbed pathways which are associated with connective tissue problems; i.e. EDS. Cort? Timelines like 5 years, 10 years seem reasonable to find treatments but beyond that it will be too late for many. What are your thought Cort? I’m talking about treatments that can keep us out of bed and allow us to live to some degree, not a cure. Your points are well taken. After reading the article, I also feel that we are looking at decades and decades. I’m starting to feel that it may be like in MS and RA, where there has been volumes of research and folks still suffer. For the bed bound and severely ill, this is all too hard. Any news on the metabolic trap experiment with Dr Phair? The fact that Ron Davis would commit money to a clinical trials network suggests to me that there’s a good chance he will use that network; i.e. find treatments to test. I am also encouraged by Nancy Klimas’s work and the idea that she has a model that explains me/Cfs, data that the model was built on and a putative treatment plan. There’s also Cortene and the Rituximab sub-set which we will shortly find out about. Mestinon is another interesting which David Systrom is finding very helpful in ME/CFS. I think there’s a good chance that something will show up which will help in the next 5 years. It may not be a new drug but a new way of looking at any CFS that uses repurposed drugs. If we can get ME/CFS 30% better that will provide a lot of relief and take a lot of people out of danger. Dr Davis is heaven sent. I trust his judgement implicitly. His motivations are completely unselfish. Thank you for the reminders of the other possible routes for help. Even 5 more years for the bed bound is too long, however. The problem is that there is no med for the flu feeling, toxic feeling, and the crippling malaise, except to lie still and not move. Our family member who is very ill and bed bound says the preference would be imprisonment because at least prisoners have ‘yard,’ a library, and can do exercises. I am praying that the metabolic trap thesis proves to be helpful. I do hope something turns up soon. I really think that if we can come up with something that is just 20-30% effective to start with it will be very helpful to those who don’t see how they’re going make it. Davis has large set of drugs to test against his nanoneedle. If he can find just one that really moves the needle (pun intended) it would make a huge difference. Some form/variant of hypoxia is believed by many to be common in ME. Large parts of the digestive tract are far more vulnerable to hypoxia then “critical” parts like the brain. Or better said the digestive tract takes a big portion of the hypoxia to save the brain and liver. Bowel inflammation is very often said to lead to , amongst others, poor cardiac output and reduced lung function. That in term is a good recipe for increased vulnerability to hypoxia… …with in turn can strengthen inflammation and hypoxia in the rest of the digestive tract and the whole body. That’s a vicious circle. Regular saline injections *could* for some patients brake this circle by at least providing enough blood flow to “service” non-critical functions such as digestion. It may also dilute pro inflammatory / pro problematic chemicals in the blood and it does increase hydration and NaCl availability that can increase stomach acid production if it is insufficient. In some cases that *might* significantly boost digestion and lead to a slow “auto-improvement” of digestive tract health. Showed him my poster made up of documents which prove it. Dr Xiao did not follow up, so this already suggests that he will probably not be doing anything to solve the original CFS evidence base. Just like all the rest, they intend to “Invent their own CFS” and solve that instead. Actually I think this group is doing the opposite of inventing chronic fatigue syndrome. They’re Gathering hordes of data and seeing what shows up and then creating hypotheses. Both Mark Davis and Ron Davis have said we’re in the data gathering phase. That might seem disappointing but it’s a heck of a lot better than studying false hypotheses to the bitter end and wasting years doing it. It was a small dataset, easy to study. Now they have so many “CFS’s” that they don’t even think the syndrome has anything to do with that original one. They don’t even know why Cheney and Peterson called the CDC for help. And more, they don’t care. So I can’t say as I care too much for their way of doing research. They threw the Tahoe outbreak right off the cliff. I don’t think they’re trying to prove or disprove reasons at this point. They’re just gathering as much data as they can and see what pops out. I imagine the mold subset and other subsets will pop out at some point. By disregarding the original mystery that CFS was coined for, their “invention of alternate CFS’s” is automatic. I want to highlight the idea that these researchers should collaborate with Dr. Graham in England. His research into EDS-H could be deep resource for the Harvard group and the Ron Davis team. Perhaps this idea should be presented to Dr. Graham as well. If he were to reach out across the pond, busy researchers would notice! Our body controlled major control system. The major control system ordered by brain signals. If all of the major our body control systems inhibited or blocked, we enter many abnormal conditions. We call the many abnormal conditions is CFS/ME. If we cure the CFS/ME, remove the pathogenic source and reactivation of the body control system. Brain signal may electric and can’t control with the chemical system(drug). CFS/ME treatment may same the piano tuning, auto tuning, computer virus threat. CFS/ME may instantly FIX with tuning the body electric flow. It needs inspiration and breakthrough. I can do. I have Fibromyalgia and Chronic Fatigue diagnosed by Rheumatologist/Pain Doctor since 2008. Just in June 2018 I had 10 vials of blood taken and put in intensive care. I was kept one day, released but not told results of tests or reasons for tests. I have been rushed by ambulance four times for diagnosed Secondary Hypertension diagnosed by Arkansas Heart Hospital. Just on June 19, 2018, once again problems with heart plus have now since 3/12/18 syncope fall down stairs five steps up I incurred concussion with brain damage. I was in CHI St Vincent Hospital, Little Rock, AR from 3/12/18 -3/19/18 and then sent to CHI St. Vincent Rehabilitation from 3/19/18-3/26/18. There I was through physical, occupational, respiratory, and social rehabilitation under doctor, respiratory therapist, registered nurses, social workers, psychiatrists, dietary regimen, and regimented physical therapy and all-mind/body care 8 hours a day. It seemed since trauma of concussion and diagnosed toxic metabolic encephalopathy by hospital/rehabilitation institutions well my whole life changed. I now have high blood pressure called Secondary Hypertension which I was told only 5% of world has. I have Bradycardia (Remicade infusions every four weeks) pacemaker put in 12/29/15 when lay so weak just stayed in Baptist Hospital, Little Rock, AR for a week. No high blood pressure but still on oxygen 24/7 until rushed to AR Heart Hospital early June 2018. After potassium and magnesium levels corrected I walked out no use of oxygen except when nap/sleep Oxidation problematical stop breathing and Pulmonary doctor told me to never go to sleep without oxygen…..not even for a short doze. Pulmonary Dr Hunan Makhoul said I am in real bad shape with 7 autoimmune diseases plus Fibromyalgia, Chronic Fatigue, Toxic Metabolic Encephalopathy, and seven autoimmune diseases are, Sjogrens, Scleroderma, Endometriosis, Vasculitis, Crohns, Colitis, and Diviticulitis. I have HLA-Bh27 marker missing diagnosed by Dr Leonard, Rheumatologist, Little Rock, AR February 1997. I also have Spondylotis diagnosed 2010. Therapy facet joint injections two times 2002…..made me able to teach 24 years. I had to go on Social Security Disability 2008 due to Crohns and Fibromyalgia/Chronic Fatigue. Life is Hospital stays, too tired to have family life, and 10 doctors care always tests, Hospital stays, operations. Your history sounds similar to mine. Please look in to Mast Cell Activation Syndrome (MCAS).Endometriosis has been connected to it. I had to completely change my diet and do an elimination diet to figure out issues. I find a low lectin, low amylose diet to be helpful. No grains or dairy. If there is a mold/fungal issue – makes sense that it affects the colon. Also makes sense that immune system is affected as so much of our immune system lies in the intestines. I also addressed parasites and bacteria. Seems that is a factor for many. I do feel our immune systems and inflammation are “core” causes. I have EDS and that is not my “cause”. It’s a piece of my puzzle. hi I am coming up on my 17th year w ME/CFS also have FM. I live about 1.5-2 hours away from Harvard U. How do/ Can I? help as a volunteer patient for studies ?? did put my name into the biobank in past few years..
what you have been through! I wish I could help you but I can not. I want to wish you enourmous strenght and hope that they are once able to help you to feel better. I also once (when I was still able to go to specialists with help -am now long term bedridden) diagnosed with metabolic toxic encephalopathie. But another neurologist said it was not so. I was to ill to go further for more opinions but tryd to look it up on the internet what toxic metabolic encephalophathie ment. The methabolic encephalopathie I found but the toxic not. Do you know what it means? I was not on any drug or so, so why toxic? when I read the 5 year plan I was indeed also down because I will live (survive) no more 5 years. And indeed it looks like decades and decades of research as in other deseases but they can do things now, they could not do before (think at the nanoneedle). And there is not enough money also for all redaerchers. It go’s way to slow forthe severelly ill who get worse and worse and are just dying. I am also alone and desperate when there is no help. I hope they find something that helps a little bit vrry soon. But for the young and not so severelly ill patients, ron davis is trying hard to turn every stone around to find the caus(es) and diagnostic tests and treatments. I just wish I could go to an end stage care unit like for MS patients. I don’t know how they will work the samples that Ron Tompkins needs whether they will get them from the Stanford Center or if they will recruit patients from the Boston area. I imagine we will find out at some point. It does seem that just as hope begins to falter, usually around a birthday or ME/CFS anniversary date, you manage to post something encouraging enough to keep hope alive. I think folks tend to forget sometimes that you are a patient yourself, and yet, you have continued to serve our patient community for decades. I see this as a form of ministry for you and I, for one, am truly grateful. Thank you for all you do Cort. when are you going to write about nancy klimas? you promissed it so long. when is she starting her trial? The Klimas Trial like so many trials and studies is apparently taking longer than expected to get going. (The Cortene trial was recently delayed for a few months because of manufacturing issues). I thought it would have started by now but apparently it hasn’t. As soon as I know more I will let you know. Because Klimas is using the same procedures to create the trial that’s she’s used in GWS in trials that I believe are underway now, I feel confident that it will occur. I will try to find out the GWS trials. How can I get seen in this clinic? Enrolled in a trial? I Iive in a healthcare dessert and cannot get adequate care! On the end did they move significantly in their sepsis research after years of research and millions of dollars? They didnt find any drug for it but do they understand it better or did they just overturn the previous understanding of sepsis? Could they use it in ME/CFS? Great to see such a group in ME/CFS research. Hopefully their previous research will help us and lead to a treatement. I know that the death rate has been cut in half in some centers as a result of the procedures Tompkins required and that we know have a much clearer conception of what happens during sepsis but I don’t know if a specific treatment has resulted. What if you highly suspect you suffer from ME/CFS? Are they asking for volunteers for Trial Studies at this point? I have been lightly following the work of Dr. Jarred Younger at UAB. My understanding is that he is also working on CFS, along with pain studies and inflammation. He was very recently a professor at Stanford. I believe he has been at UAB for 4 years. I never see his name mentioned as a collaborator or otherwise. Does anyone know how his research is going? Is there an issue with him and Stanford? Cort? Jarred Younger has been doing a great job. He’s a very impressive researcher and I have an interview coming up with him shortly. As you know he’s running his own Lab at the University of Alabama. He actually was I believe a member of Doctor Montoya’s application to host an NH funded Research Center. I think he’s doing just fine and we’re going to hear a lot from him over the years. Hi Cort… thanks again for all you do to keep hope alive for us bed bound folk. I had a muscle biopsy which revealed moderately reduced muscle glycogen- I am wondering based on what we know from current glycolysis findings how this might fit into the Me/cfs picture? Interesting that PDH/PDK turn up in sepsis as well. Possibly supports the theory that ME/CFS is chronic sepsis. Xiao presented results from a gene expression study which indicated that ME/CFS most closely resembled sepsis (2017 OMF Community Symposium). So possibly ME/CFS is chronic sepsis relating to leaky gut? https://en.wikipedia.org/wiki/Ischemic_colitis may be a potential route to this. As I described in a far too long comment in this blog ischemic inflammation of a large part of the digestive tract may be common in ME. “Those with severe ischemia who develop complications such as sepsis, intestinal gangrene, or bowel perforation” -> one large bowel perforation or many many tiny ones may be considered “a form of leaky gut” IMO; a “half dead” part of the bowel (parts (small or big, few or many) with intestinal gangrene) could be leaky too IMO. I can only imagine if the small bowel, stomach, stomach acid production, pancreatic enzyme production, gal bladder… are affected to some extend as well that outlook becomes even worse. And if that/inflammation/hypoxia in turn hits the lungs/muscles/brain/blood vessels that it becomes highly problematic. Thank you for reporting on this, Cort. Though I’ve seen mention that physical trauma, like an auto accident, can trigger ME/CFS, this is the first place I’ve seen where there’s potentially a scientific basis for how and why this might happen. I am wondering if you knew from your interview whereabouts the Canadian center will be? Seems like the MAIT cells could be the source of the inflammation signalling which causes the SEPSIS type reaction.